Home Miscellaneous Why Fiber Optic Cabling Is Essential For Modern Network? Introduction of fiber optic cabling has revolutionized the network that earlier used to run on copper wires. There are various reasons that have made the technology, a cynosure of all eyes. Besides being lightweight, it uses light rays for data transmission at a faster speed. Huge Bandwidth is one of the primary attributes of the new technology as the data speed can reach up to 200 TBPS. It is possible due to the various modulation techniques that are available in the market. One of the most important advantages of the fibers is that you can transfer signals of multiple wavelengths at the same time. As a result, the data rate increases along with the bandwidth. Combined multiplexing goes a long way in enhancing the speed of information to a great extent. Signals can be transmitted over long distances using the fiber optic cable. Gone are the days when copper wires were pressed into operation. In the world of ADSL, fiber is the only material that is now providing last mile connectivity to the users. Gigabits of data can be sent over the internet without bothering the information loss. One of the most important benefits is the low attenuation rate of the fiber cable. It is a fantastic option that helps to transmit the information over thousands of kilometers. In fact, the above-mentioned reason plays a stellar role in increasing the data speed to a great extent. Pulse dispersion attribute ensures that the video signals are directly sent on the Fiber without distortion. Since the information signal is immune to noise, it can be sent from one place to another in an impeccable manner. Fiber is not expensive as copper; therefore, it can be used for installation without incurring significant expenditure. Fiber is immune to destruction or electric shock as compared to copper wires. In past, thunder storm lead to the burning of the modem along with computer, with fibers however those days are long gone. In fact, users do not have to ground the cable as fibers can be installed anywhere without any hassles. Fiber cabling comes in small sizes unlike the copper versions. The latter imbibed more channels with a large surface area. Strands and cross interference were common problems faced by the copper based technology. In fiber domain, one should change only the equipment or the fiber module to increase the data speed. Installation of the fiber doesn’t require permission from the authorities as is the case with the copper. 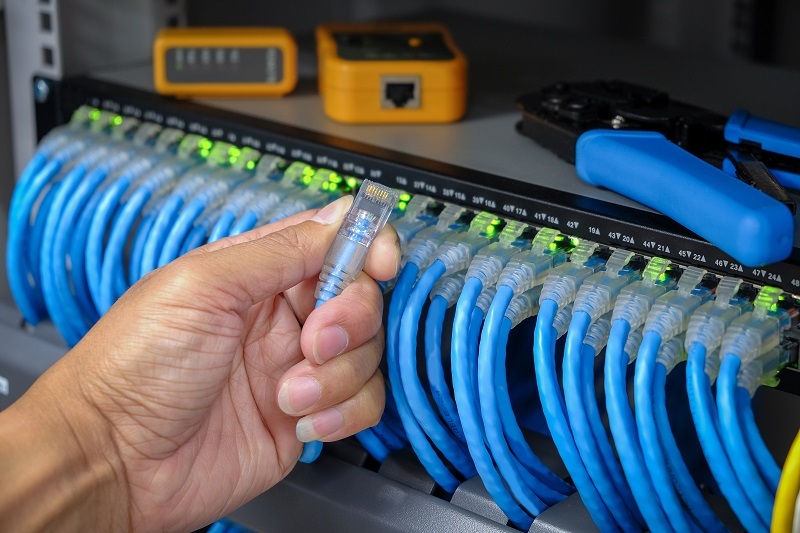 Unlike the other media in the market, fiber cabling provides secured transmission to the users. Risks originate from the tapping in the parallel channel. Copper cables facilitate the transmission of modulated signals, but they can be sniffed by the hackers. Fiber materials do not allow the intrusions as the signal travels in the middle of the core. Therefore, the signals do not radiate beyond the cable and are more secured when compared to the copper transmission. Fiber cable can provide exemplary results in the area inundated with electromagnetic interferences. The signals are devoid of attenuation and would go a long way in increasing the data speed. In case of copper wires, the electromagnetic signals result in the interferences resulting in distortion of the signals. In such cases, installation of the fiber is the key to resolve problems within the shortest possible time frame. Compared to copper wires, fiber cables do not break easily and last for a very long time.